Lovingly based on the classic Ealing Comedy, Graham Linehan has adapted this perfectly for the stage, maintaining the fun but with a sinister edge. The play opens on the modest exterior of a post-war London town house, which then lifts to reveal a fantastically intricate and eccentricly lop-sided (bomb damaged) interior. The set then continues to delight and surprise throughout the whole piece, almost starring as a character itself. The deliciously dark comedy tells the tale of Mrs Wilberforce, who takes in a gang of robbers posing as a string quintet. It is a true ensemble piece and each actor is given their chance to shine: Michele Dotrice is the deliciously dotty Mrs Wilberforce. 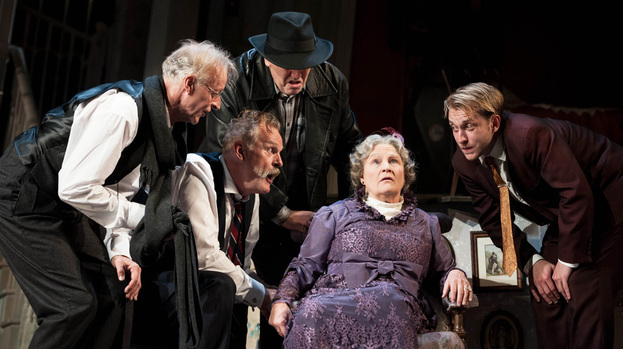 Dotrice’s performance deviates from the classic film and the London production where Marcia Warren took the role, in that it is rather less gentle and sweetly eccentric, rather more boom and bluster and she looks physically more than able to take on the gang. Paul Brown plays ring leader Professor Marcus with the right balance of menace and gentlemanly manners, but his delivery seemed rushed at times. Former Eastender Shaun Williamson is cast as a Romanian gangster Louie with suitably dodgy accent, and copes competently enough but with little flair. However, Clive Mantle and Chris McCalphy as the Major and One Round are pitch perfect, but it’s William Troughton who steals the piece as pill-popping Harry, and who is on the receiving end of most of the slapstick gags. 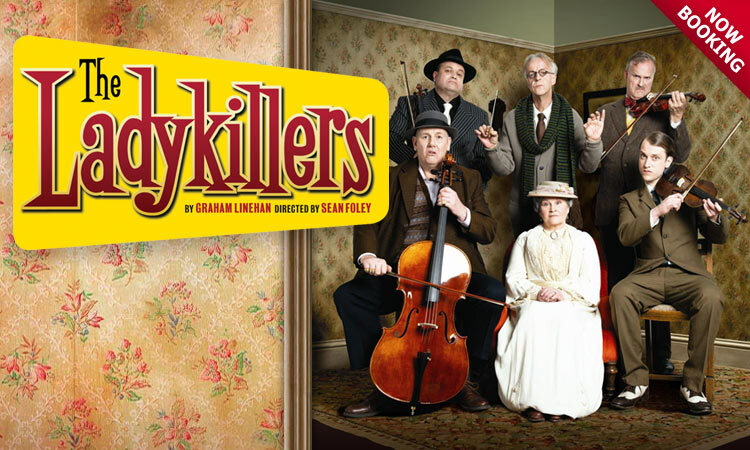 The Ladykillers is an excellent realisation of the beloved film and is packed full of wonderful one-liners and visual gags. Catch it if you can – a perfect evening’s entertainment. The show runs at Theatre Royal Glasgow until Saturday November 26, and tickets are available from here.